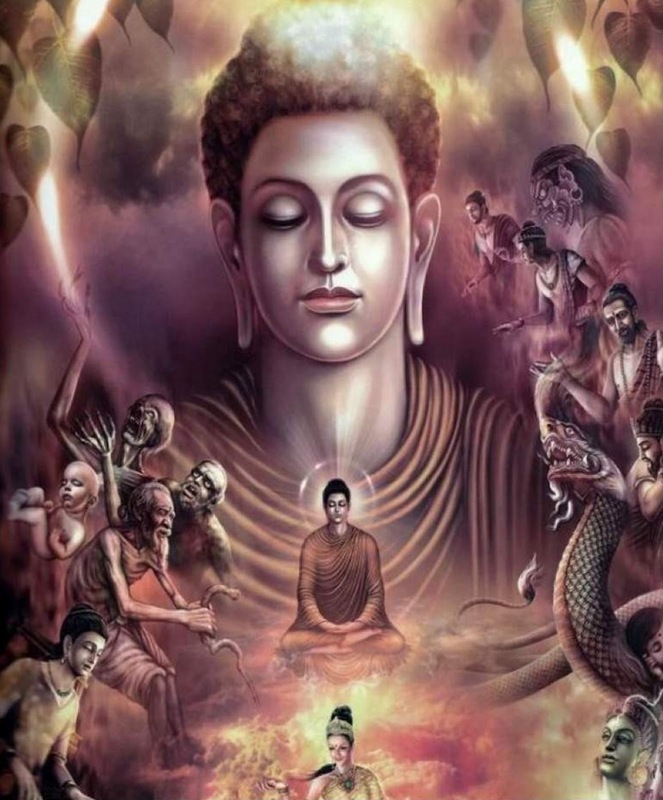 ♨ 至尊佛陀的一生畫卷 The illustrated life of the Lord Buddha! 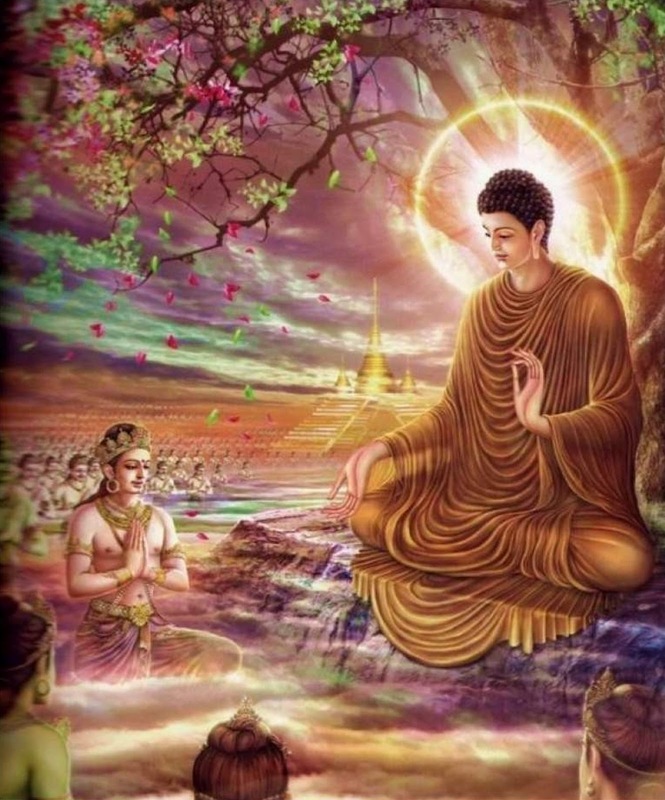 Bodhicitta - The four diamond indestructible faith from the life of Buddha! 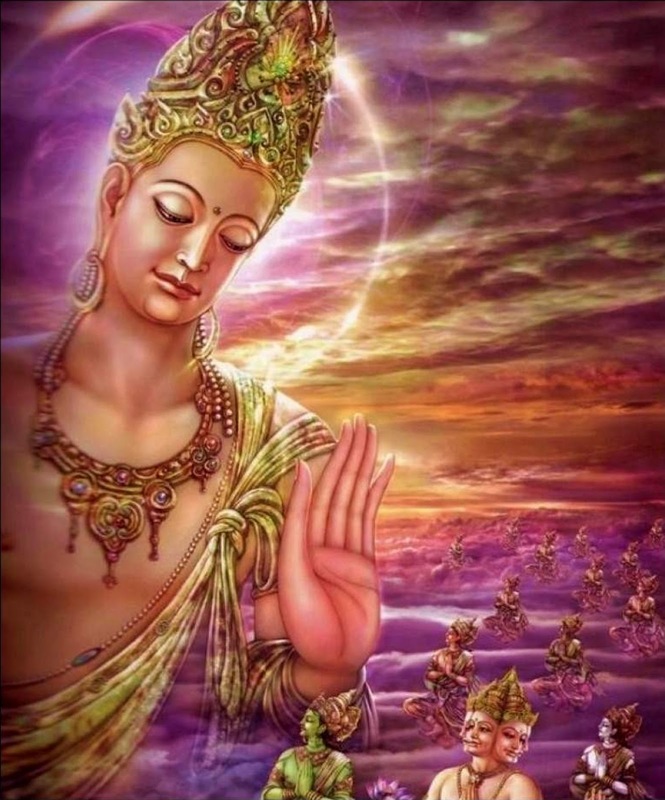 The Devās request the Prabhāpāla (guardian of light) Bodhisattva in Tusita Heaven to descend and become a Buddha. 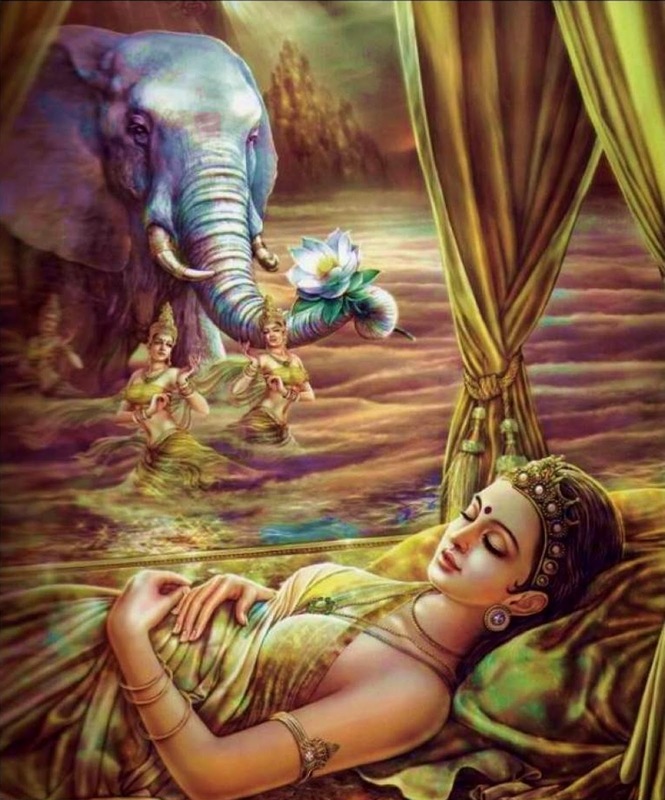 Buddha's mother Maya dreamed that a white elephant,Then pregnant. 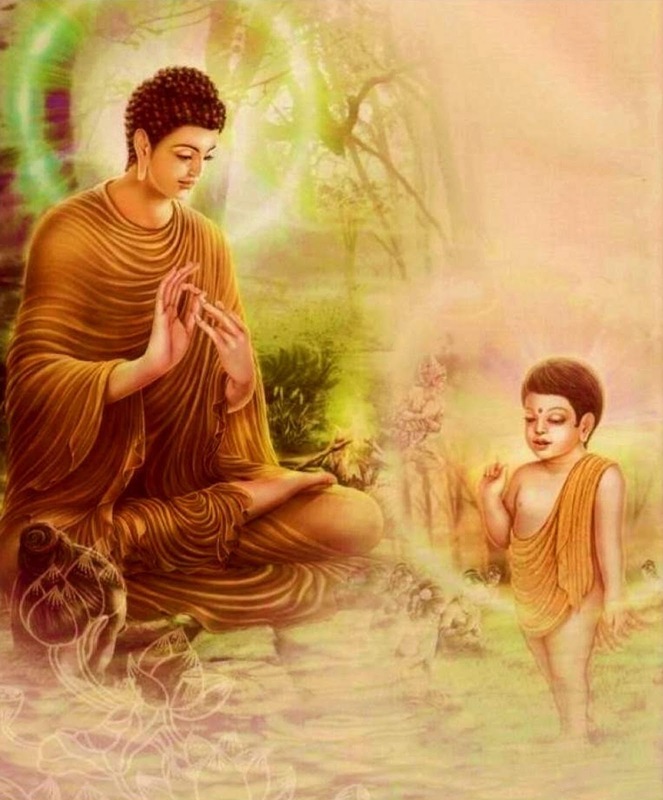 Buddha was born in Lumbini Garden. 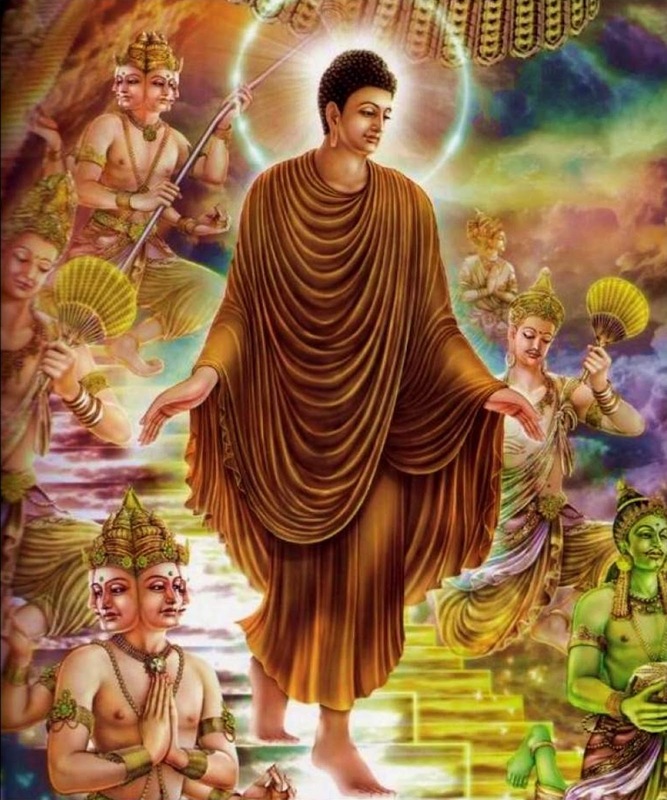 Buddha walked seven steps after birth. every step on a lotus flower. Then hand pointed to the sky, another hand to the earth and said:I am most honored in heaven and earth. 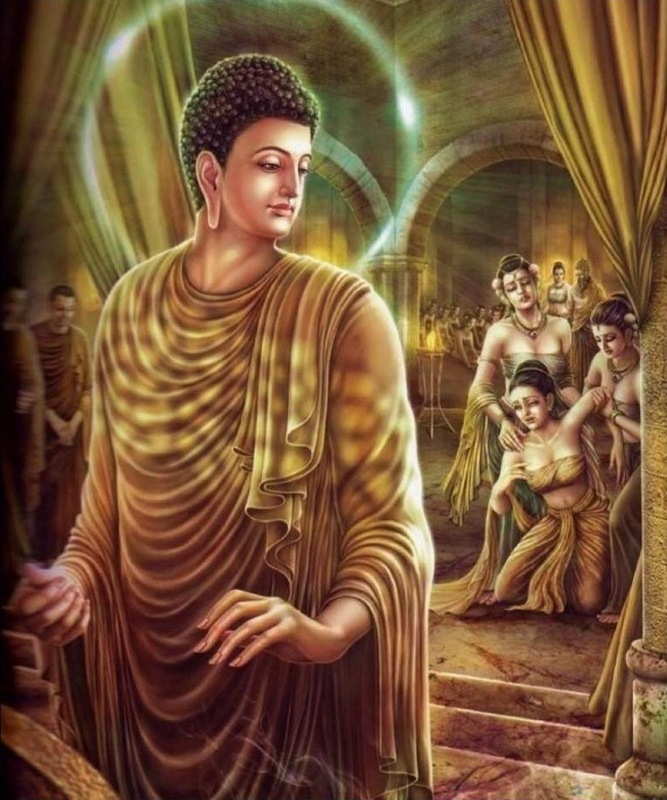 The Buddha's father, King Suddhodana very fond of his son. 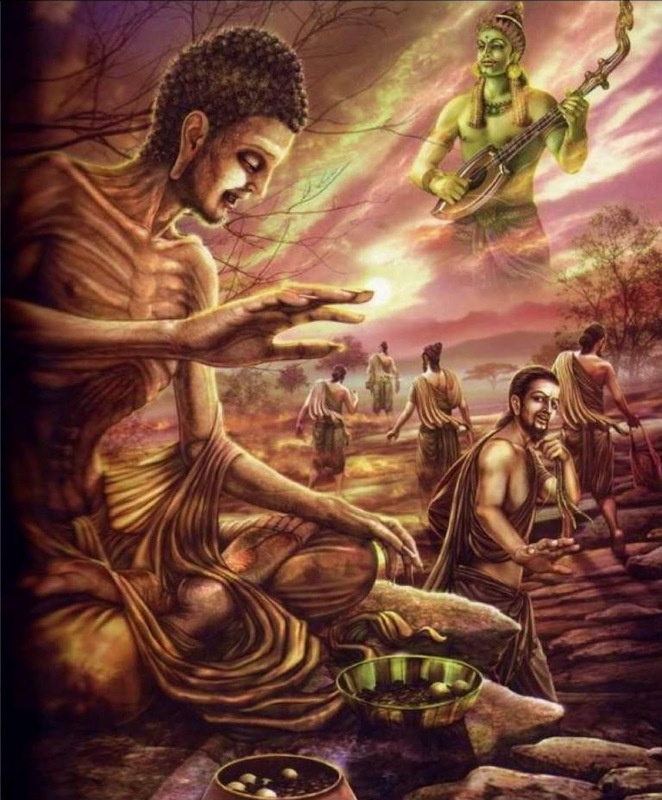 The Buddha was named: Gautama Siddartha. 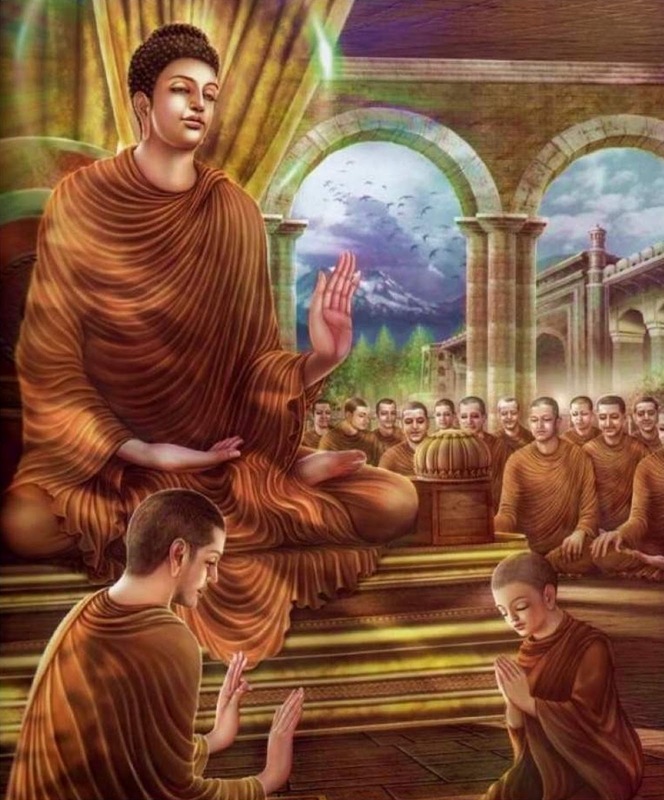 Buddha's father invited the famous Grand Master Asita to predict the future of the Buddha. 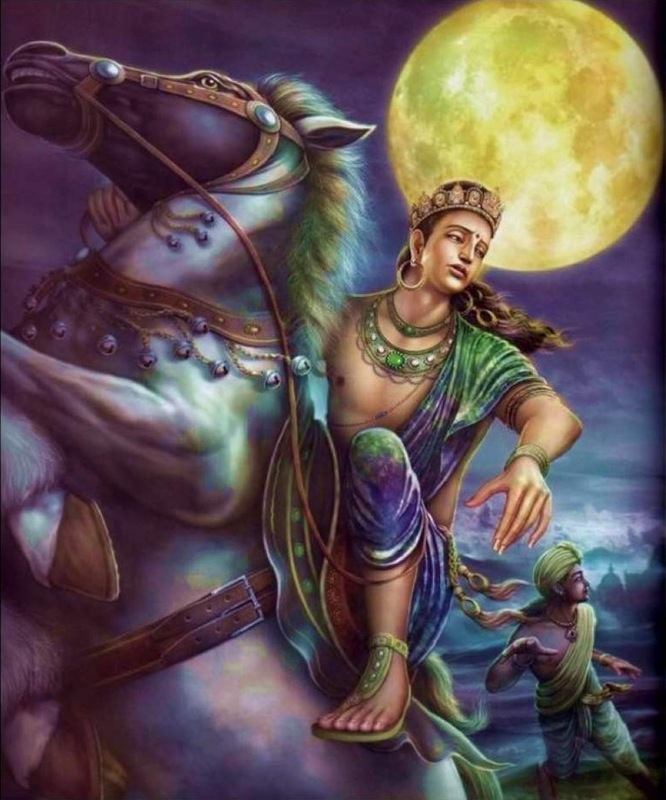 He tells Suddhodana: Your son will become a great enlightened! Unfortunately, I am old, I can not hear his teachings. 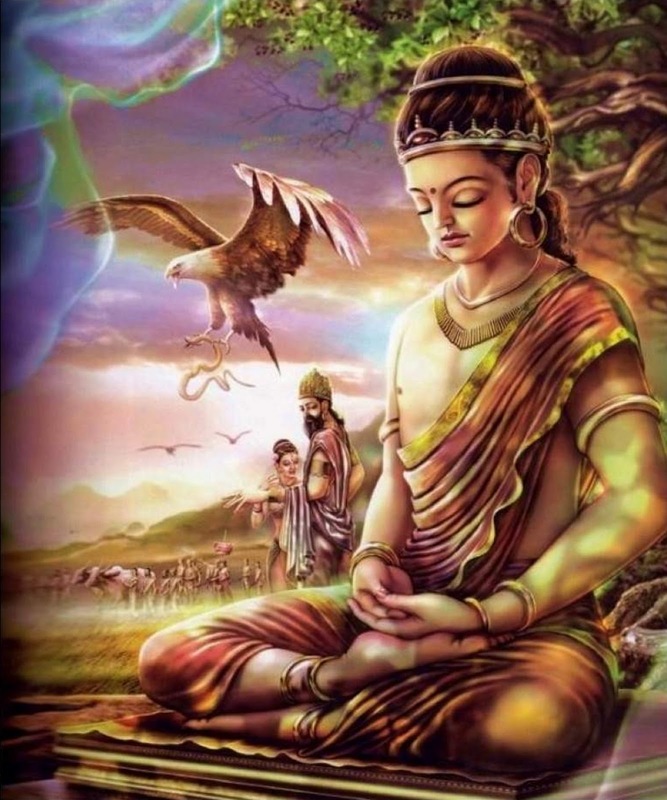 The Bodhisattva saw the eagle to hunt snakes and arose compassion, and meditates during his father's plowing festival. Prince's 16 years old, proficient in all learning and martial arts. 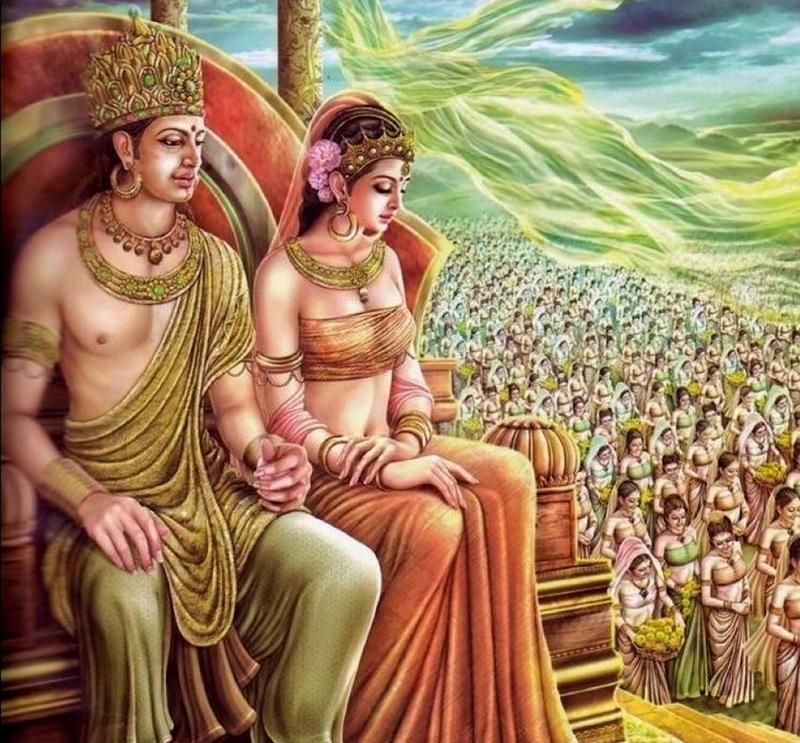 Suddhodana arranged a marriage for the Prince. So prince married the beautiful Yasodhara. Prince and his wife loved by the people. 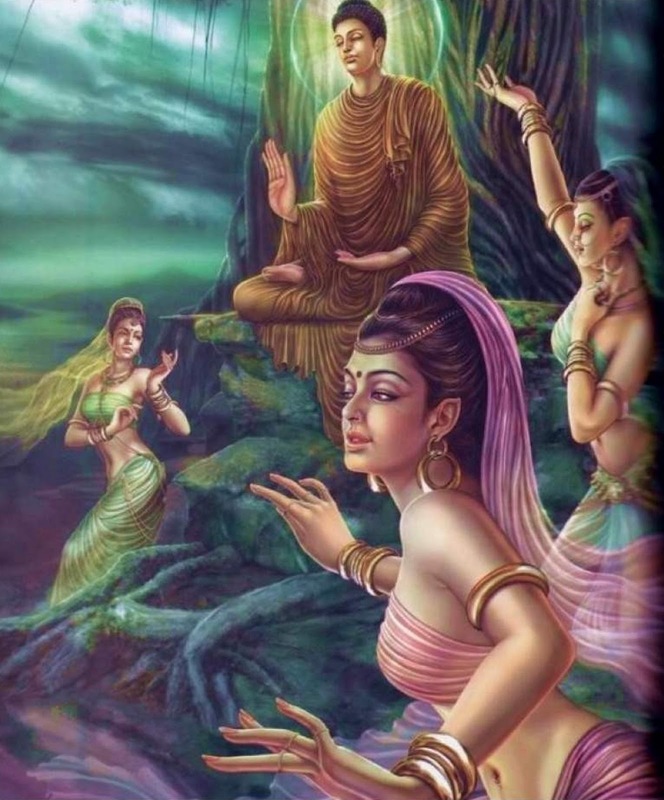 The Bodhisattva observes his dancing girls & realizes the vanity and depravity of luxury, and gradually tired of living on the palace. Prince left the palace to play, but saw the sick, the elderly and the dead. He produced a strong dislike for reincarnation. 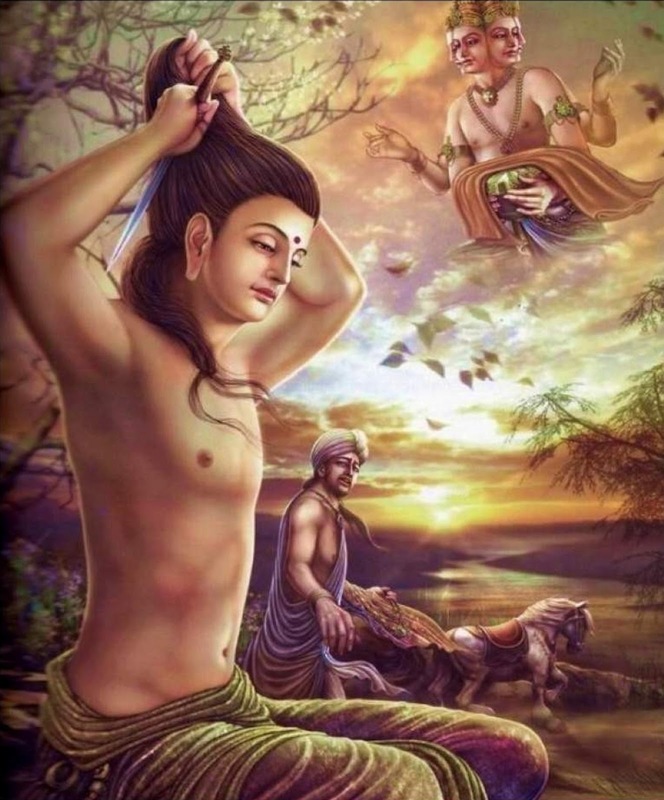 Siddhartha cut his hair, put on clothes sent by Brahma ,began to practice. 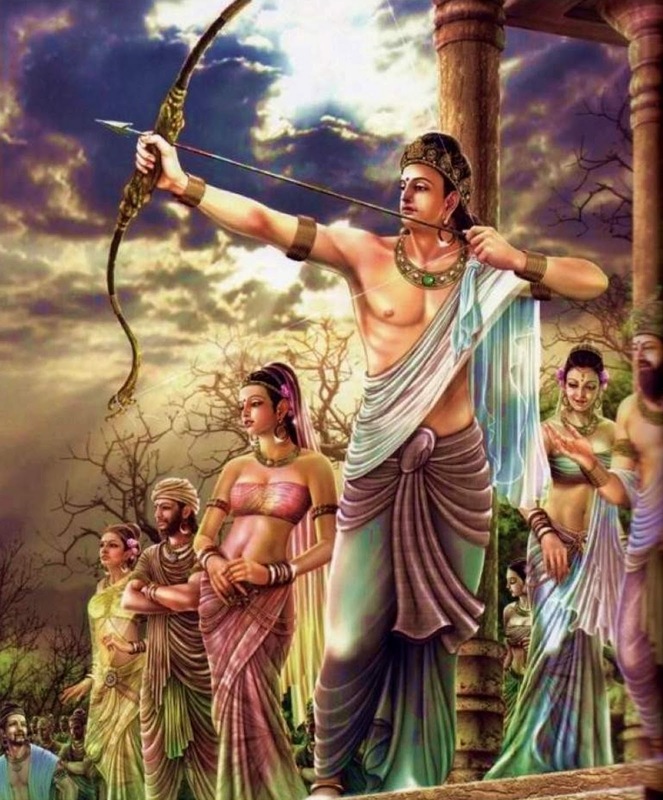 Siddhartha learn from all Achievers,tried all the religious practices of the world. 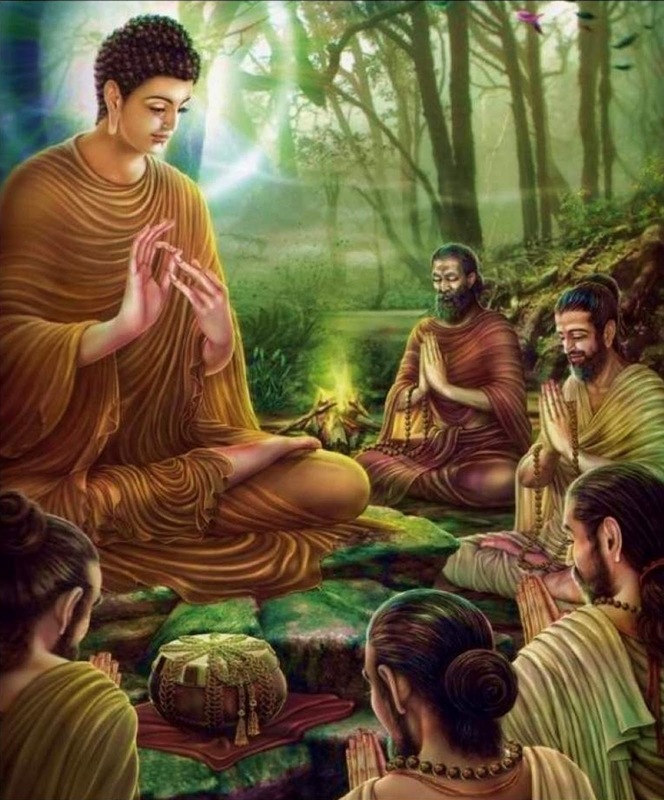 But he found that he did not achieve his goal to become a monk. So he gave up the ascetic. The five other recluses leave him. 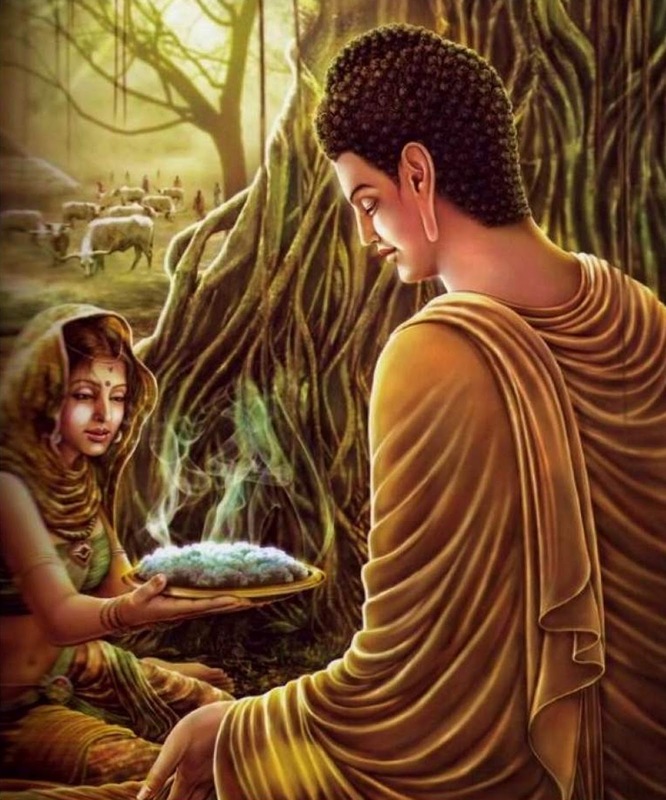 A shepherdess Sujātā gave Siddhartha milk porridge. 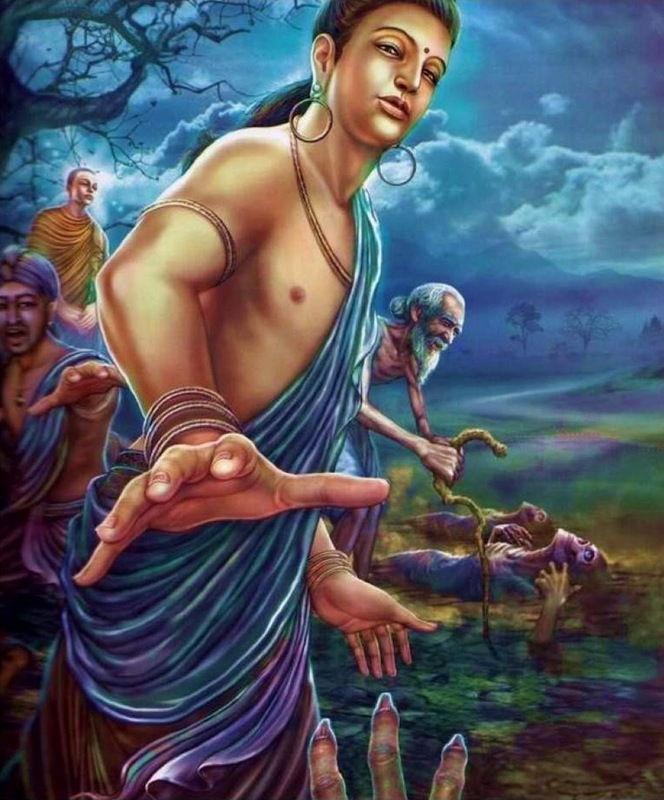 Siddhartha was able to recuperate and re-start practice. 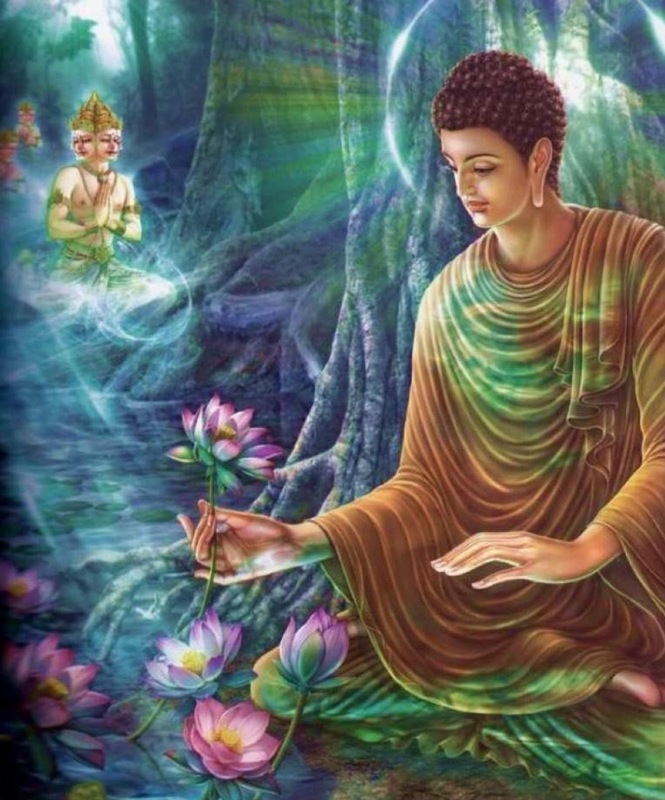 Siddhartha put the bowl into the water,and saying: "If I can achieve Sambodhi, then the bowl will be upstream." 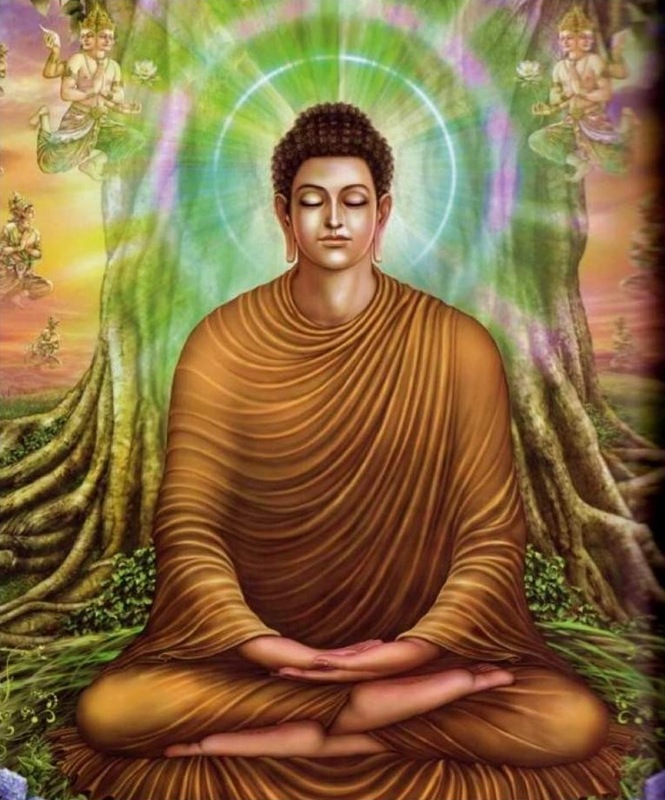 Siddhartha was thinking under the Bodhi tree,vowing not to leave this seat but become a Buddha. 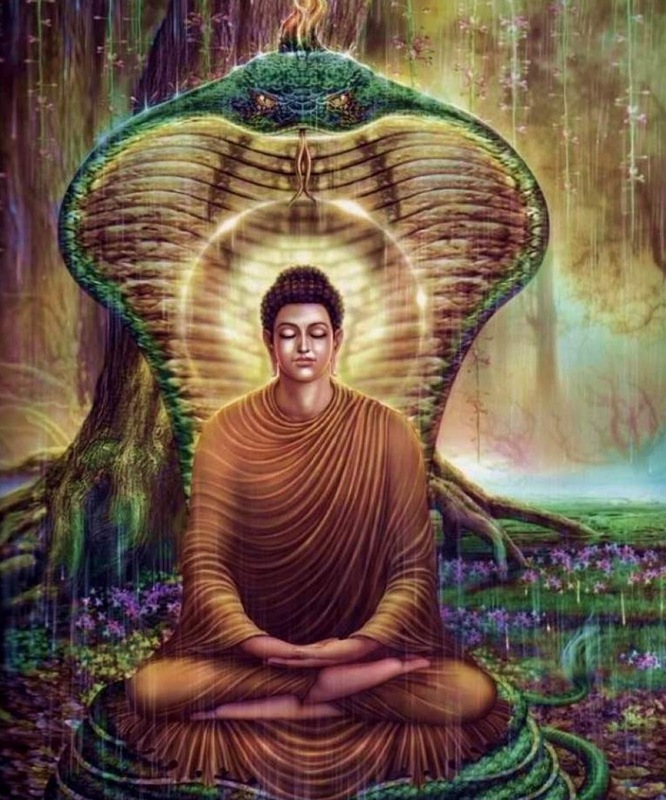 When it rains, the serpent Mucalinda helped him. 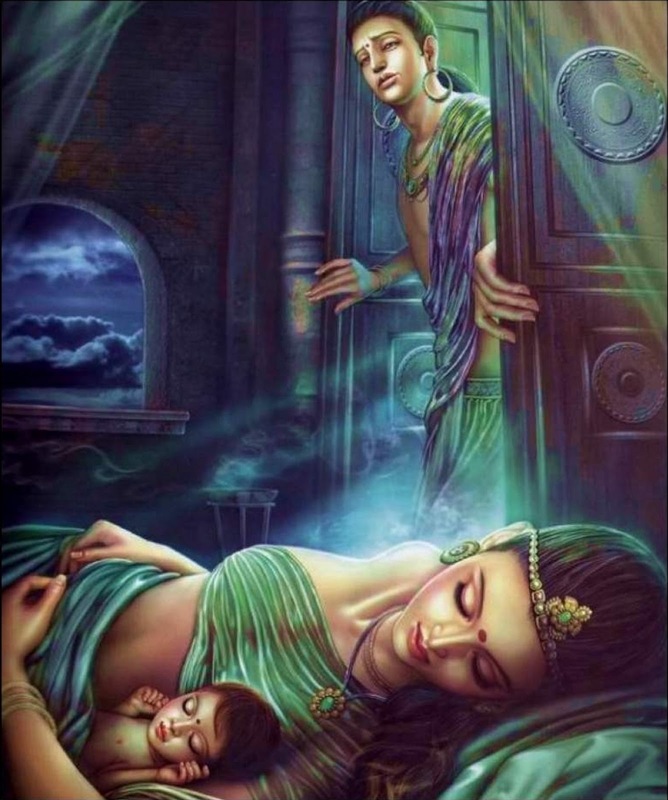 He is indifferent to the temptations of Māra's three daughters: Rāga, Tanhā and Aratī. 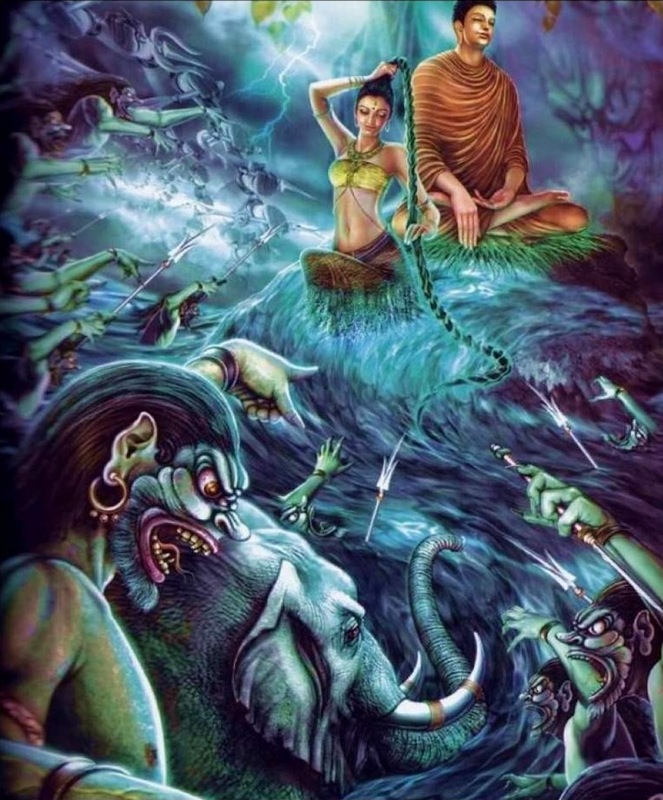 The Devil saw the Buddha is not moved by his daughters, angry, dispatch an army of demons to attempt to kill the buddha. At this time appeared the earth-goddess, flooding the demon army. Various means of the Evil One failed, and finally defeated. 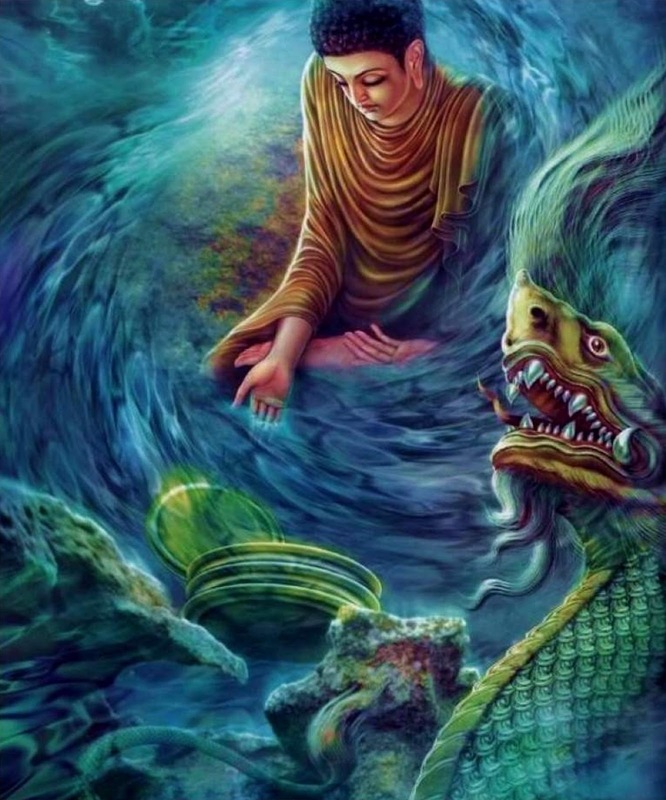 Gaining the six higher powers he sees the rebirth of beings and recalls all his prior lives. 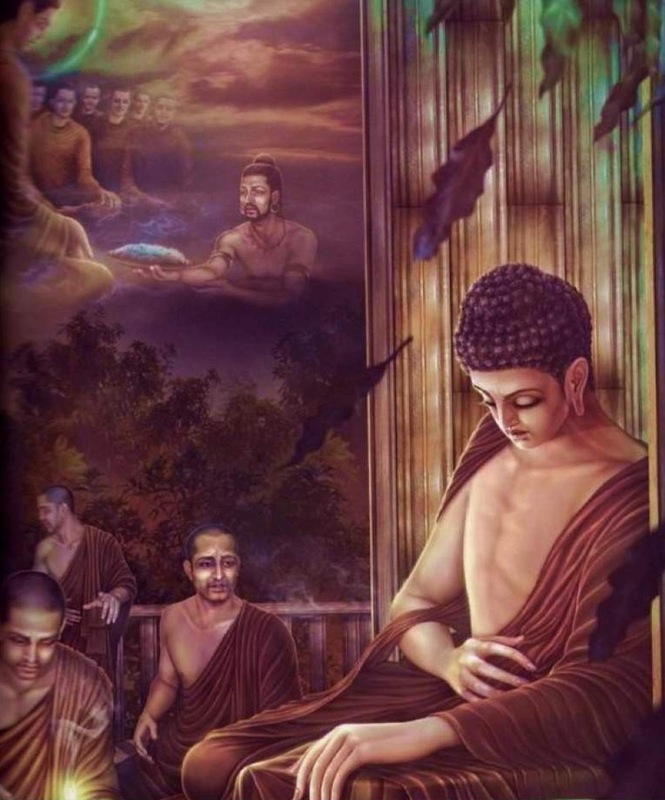 Buddha enlightenment Five monks at Sarnath , enlightenment beings career began. 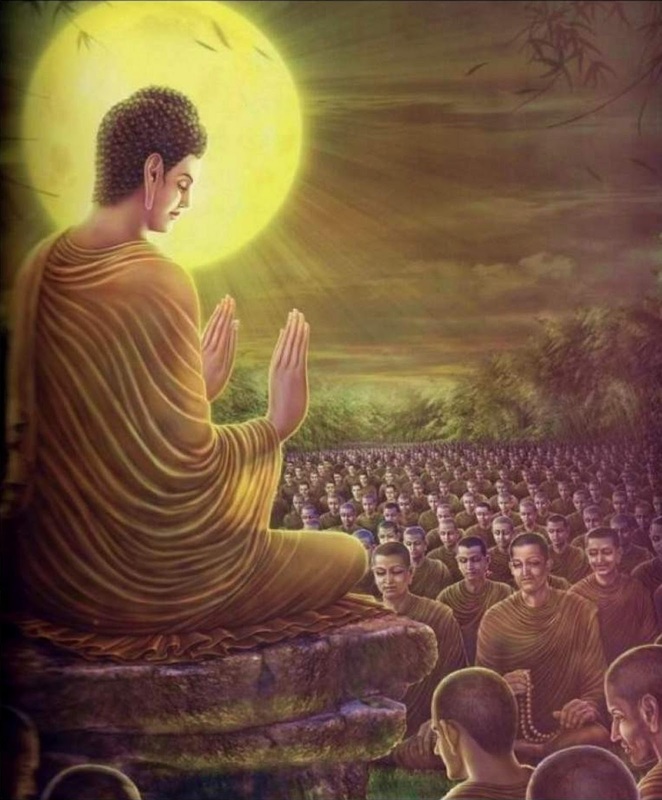 The Buddha explains Breathing Meditation Ānāpāna-sati on the full-moon of November. 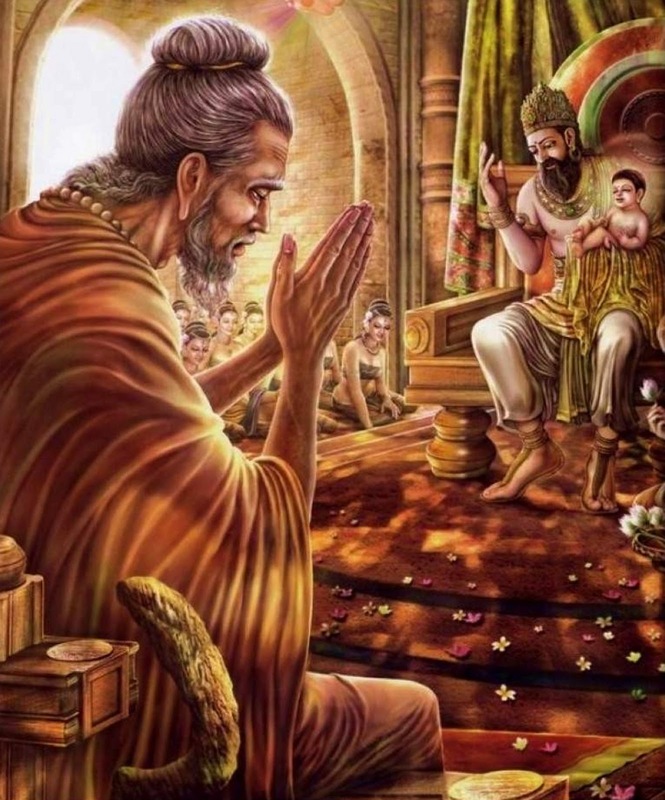 He meets his father the Sakya King Suddhodana. 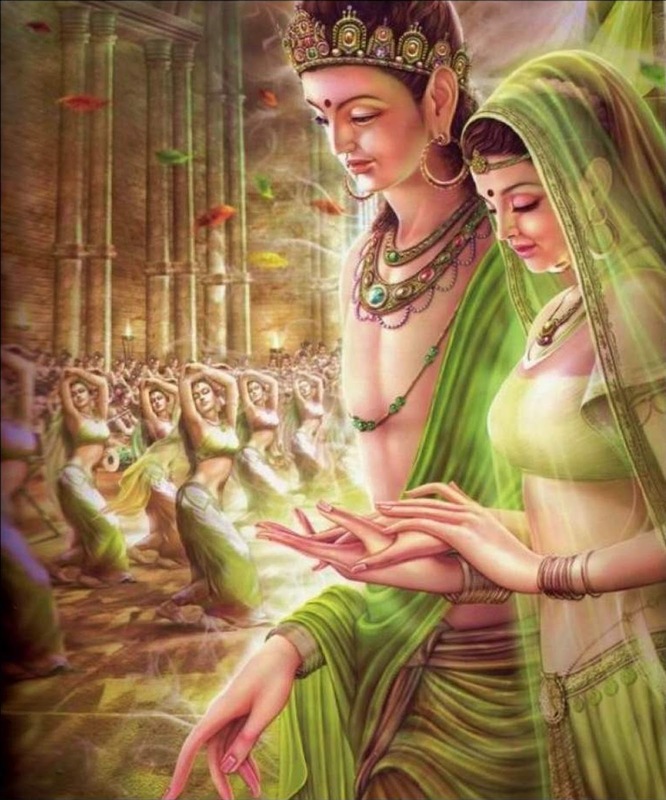 The Buddha visits his home and his former wife Yasodharā in the city of Kapilavastu. 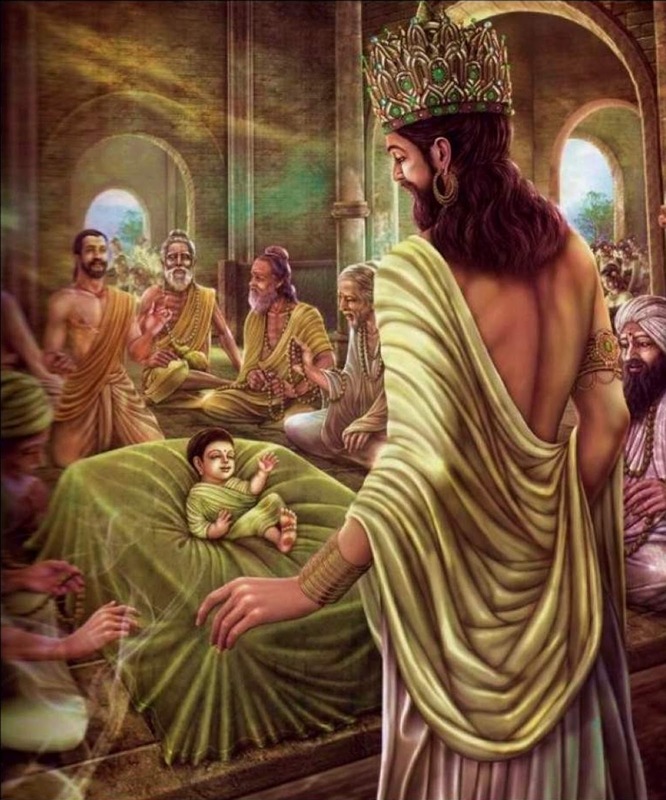 There he brings his son Rāhula to the Sangha, taught by Sariputta. Rāhula later awakens. 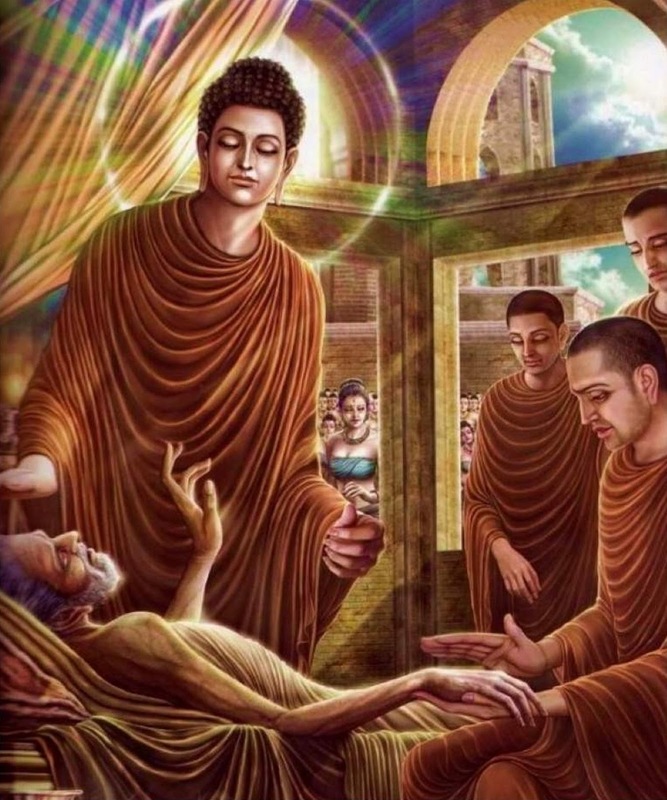 Buddha to visit seriously ill father aged 93, for dying speak Dharma, his father eventually attained the "Arhat". 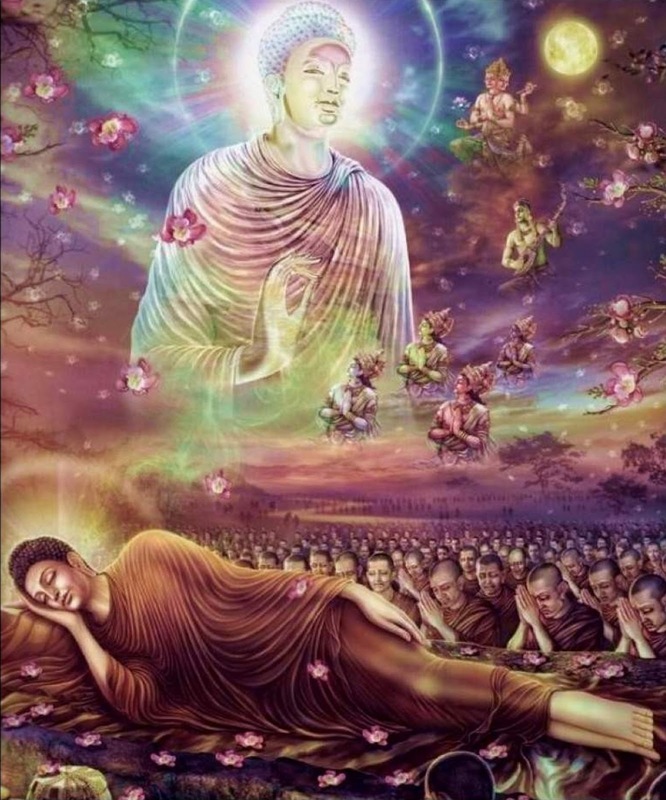 Because the invite of gods, repay Buddha mother's kindness, the Buddha does not move his body, rise trāyastriṃśa palace, explains the true Dhamma to his mother and angels for their long-term welfare. 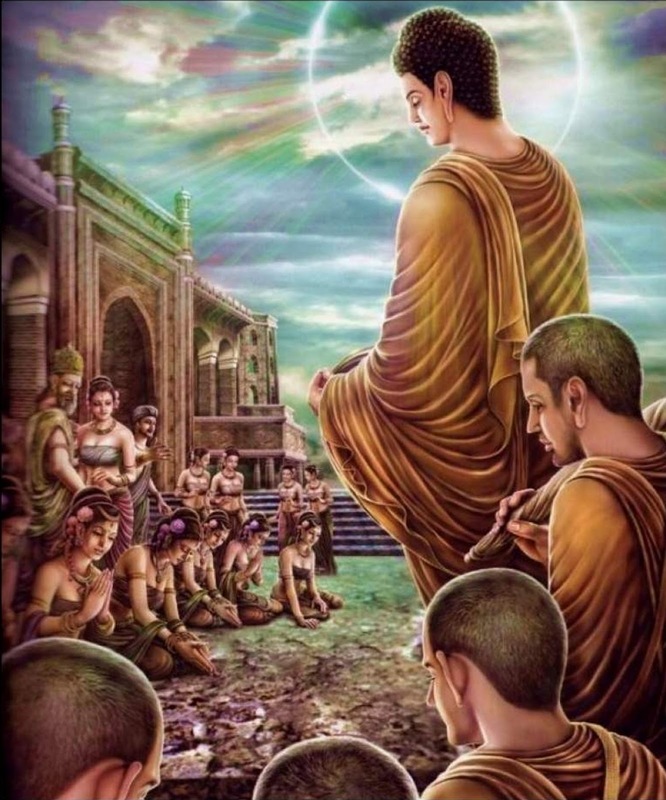 After Buddha having spoken the Dhamma, along the heaven's ladder back down to Sankassa, the gods respectful around him. 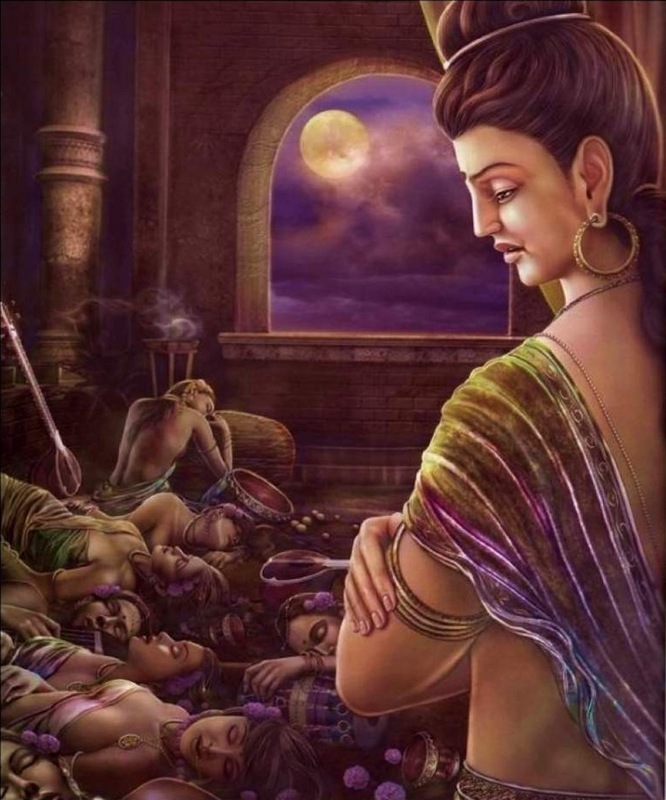 He shows his half brother Nanda the beauty of the heaven nymphs, the suffering of the hell fire, and ordains him as monk. He realizes that his long prepared mission has finally been completed and renounces life. He deliberately accepts some accidentally poisoned food from Cunda and gets very sick. 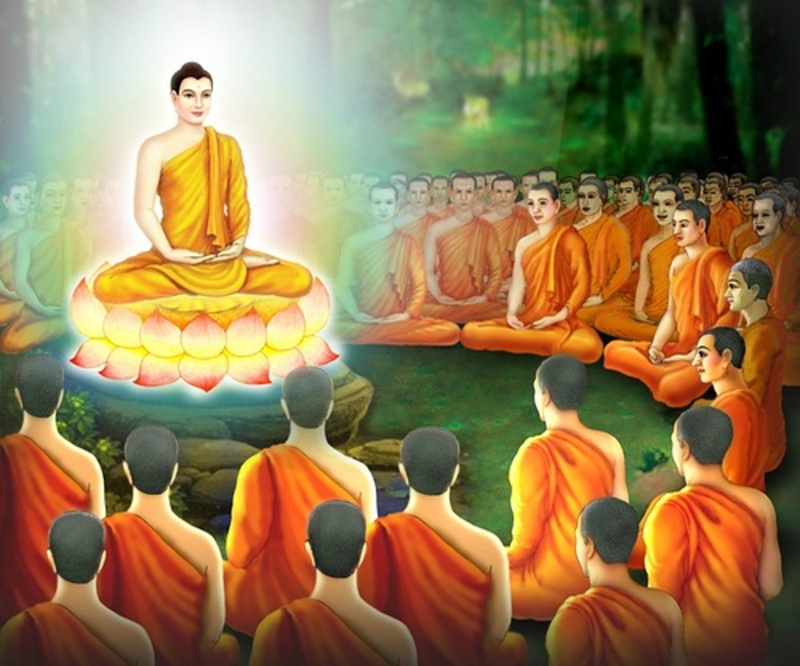 The Buddha of the last disciple Subhadda, encouraged: "practice the Noble Eightfold Path, the world will not lack Arhat - this is the Dhammakaya of Buddha!" Serene lying right in Kushinagar, enter Nirvana. Love and blessings - free circulation, welcomed posted! Partial image, Obtain from internet, Free circulation, Thank you very much!